More versatile than a standard UPVC door, our external UPVC Stable doors provide maximum ventilation without the need of opening the whole door, as well as keeping children and pets safely indoors. For extra security and as standard all our external UPVC Stable doors come with a multipoint hook locking system and reinforced frames and panels to ensure maximum security for your home and your family. 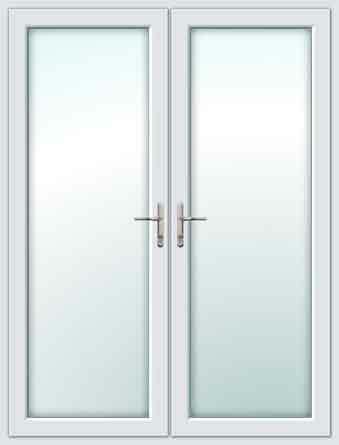 Our UPVC Stable doors are available in white, light oak or rosewood and further still you have an excellent choice of door furniture to compliment your already great looking UPVC Stable Door. Made to measure Stable door prices start from just £505 inc VAT - we might offer cheap stable doors but we can assure you the quality and service is outstanding, just check out our Just Doors UK customer reviews page. Buy direct from the stable door manufacturer and save £100's off retail prices. We supply trade stable doors, diy stable doors, stable doors to the home owner, construction sector, renovation companies and many more industries throughout the UK.